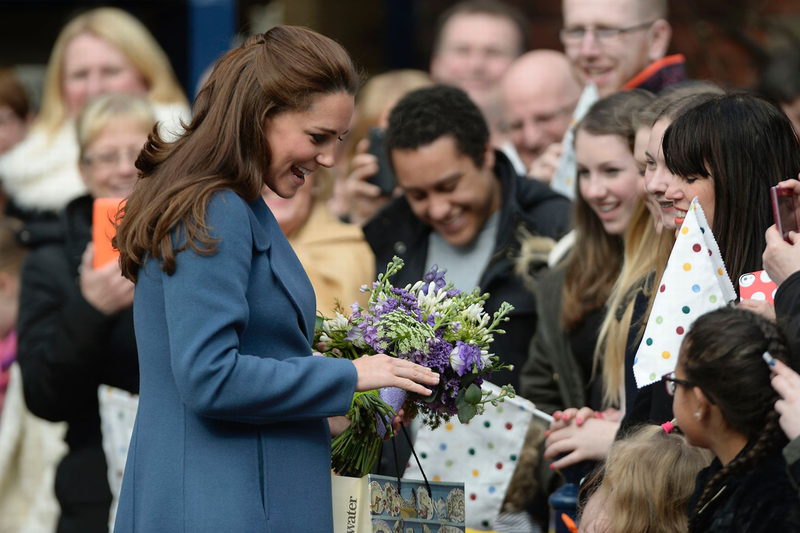 This is the beautiful moment a Black Country tot bounded up to Kate Middleton - and shared a high five. The toddler - clearly not put off by the visitor's lofty status - set off a blaze of camera flashes from photographers covering the Royal appearance. The moment was caught on video by our reporter Sophie Jamieson. The Duchess of Cambridge was visiting the West Midlands on Wednesday as part of her charity work supporting vulnerable children. Kate, who is seven months pregnant with her second child, went to Action for Children's Cape Hill Children's Centre in Smethwick and a pottery factory in Stoke-on-Trent which creates designer mugs to raise funds for a children's hospice. In Smethwick the Duchess, aged 33, met families who have faced difficult circumstances, such as domestic violence or serious health problems, and learn how Action for Children has helped them.